Vukšićev Breg is an archaeological site on the hill of the same name above the present-day town of Krapina, to the north-east of the Krapinčica river, adjacent to the state road D1 and near the Fortified Town Krapina. The site at Vukšićev Breg is directly connected with the archaeological complex of the Fortified Town of Krapina. It lies some two hundred or so metres north-west of the Renaissance palace of Krapina and outside the main town wall, being in fact a segment of the suburbium of the Krapina fortification. In the north-west of the land plot of the Barušić family at Vukšićev Breg in Krapina, the landowners encountered layers of charred earth and fragments of pottery while digging for a well in 2012. At the edge of the orchard around a hundred or so metres away, the deep excavation by the Barušić family yielded the preserved timber remains of a structure. The archaeological investigations carried out at the first location documented the existence of a daub-coated timber structure erected at the foot of the terrace of the southern slope of the Vukšičev Breg hill. Substantial traces of fire suggest that the structure burnt down, but we do not know whether this was due to accident or a deliberate act. Based on the dimensions of the structure we presume that this may have been a two-roomed timber house at least or, alternatively, a large single-roomed house. 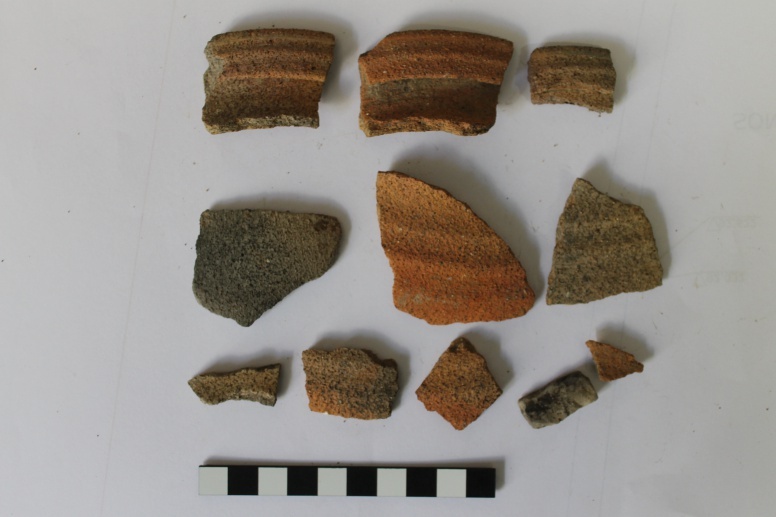 Based on the typo-chronological analysis of potsherds we may date the structure to the period between the 15th and the beginning of the 16th century. 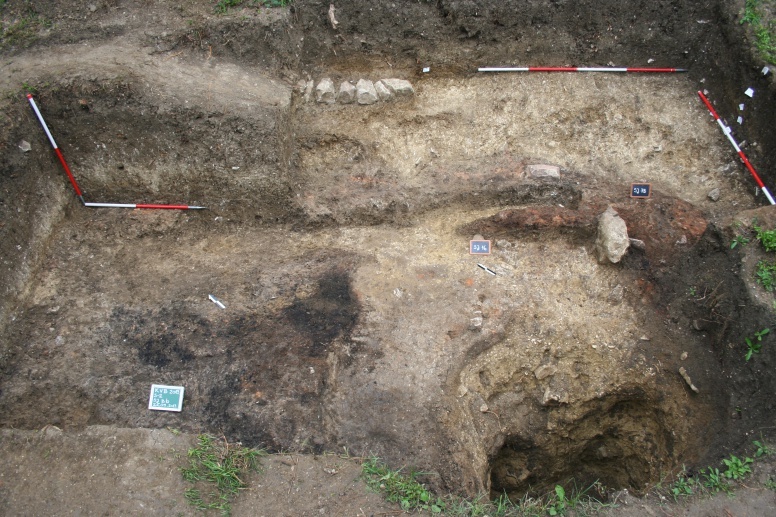 At the other, south-eastern position of the Barušić family orchard, the discovered remains of a timber structure may be interpreted as a wood-panelled building, that is, presumably its deeply sunken cellar, or as a wooden well. The limited excavation area does not enable a final interpretation and dating, although it is likely that it dates from the Modern period. Tkalčec, T. 2014, Zaštitna arheološka istraživanja nalazišta Krapina – Vukšićev breg u 2013. godini, Annales Instituti Archaeologici, X., 116-127. Vučetić, R. 2000, Prostorni razvoj srednjovjekovne Krapine, Radovi Instituta za Povijest umjetnosti, br. 16, 7–22.